Looking for a place to store your new (or old) RV? Provide your vehicle with added protection against theft and the harmful effects of the elements. 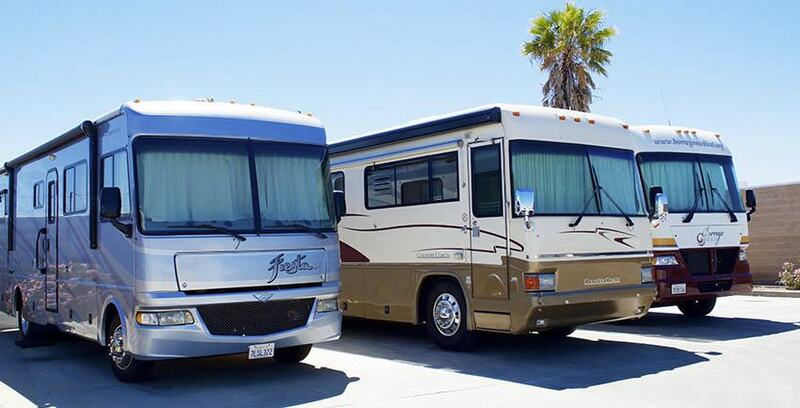 Many of our locations offer covered and uncovered RV storage spaces* to provide you with the convenience and security of storing your vehicle at a location nearby. *Not all facilities offer RV parking or storage. Check a location near you to see if they offer these amenities. Indoor RV storage will keep your RV protected from the elements – and protect your investment. Most of our indoor units are climate controlled, but be sure to double check that your facility offers this type of storage. Keep the rain, snow and sun from hitting your investment. Covered RV storage is designed to keep the toughest elements from damaging your RV. If you don’t require a climate controlled space for your RV, this is a good option for you. Simply looking for a space to park your RV? This more budget friendly option is perfect for those looking to store their RV in a safe and secure facility. Call your nearest storage facility to talk about the RV storage options available at that location. We will be more than glad to assist you in any of your storage needs and will offer advice if you wish.